A childhood encounter with a crow at a zoo led to a lifetime fascination with avian life for the American artist Jim Dine. 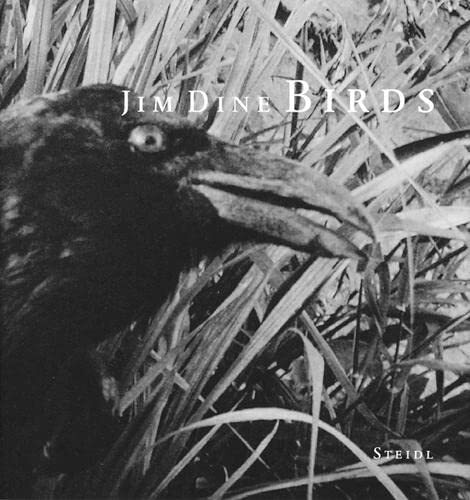 This encounter with the bird was perceived by the young Dine with a mixture of fear, fascination and a deeper understanding of his unconscious world, and from it grew a mythic personal symbolism, which he explores in <i>Birds</i>, a series of remarkable black-and-white photographs. Here, an everyday, unspectacular bird might appear to the beholder as a character of mythology, as a jester at a Medieval court, or as a strange messenger from a world behind the scenes. These are rich, intimate, darkly detailed images imbued with symbolism and meaning. They are also beautiful and compelling, particularly as published in this spectacular volume, which, with 36 images printed using a technique called heliogravure, and with a Japanese binding, is a truly beautiful object in itself, and reveals a new aspect of Dine's work. Jim Dine was born in Cincinnati, Ohio in 1935. He studied art at the Cincinnati Art Academy, the Boston Museum School, and Ohio University during the 1950s, and made his entrance into the art world with his Happenings of the late1950s and early 1960s in New York. He has since had many exhibitions of his paintings, drawings, and sculptures that reinterpret common objects, including venues like the Whitney Museum of American Art, the Walker Art Center, and the Contemporary Arts Center in Cincinnati; he has taught art at institutions including Yale University, Oberlin College, and Cornell University, and currently lives in New York and London.